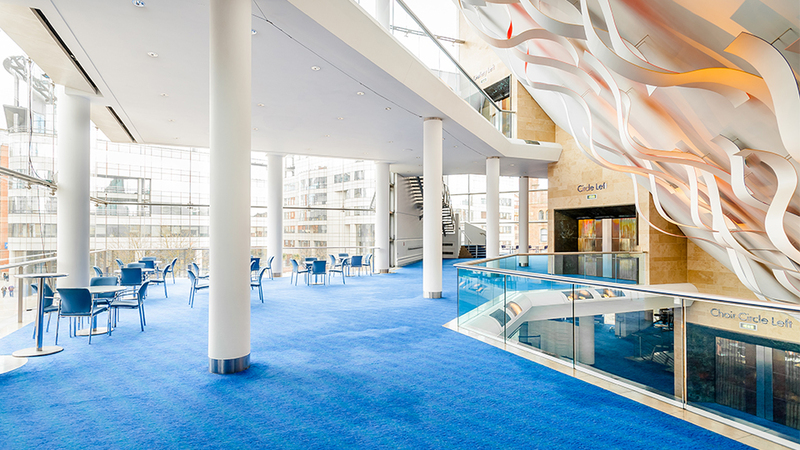 The table below details the capacities of our conferences and events space for hire at The Bridgewater Hall. 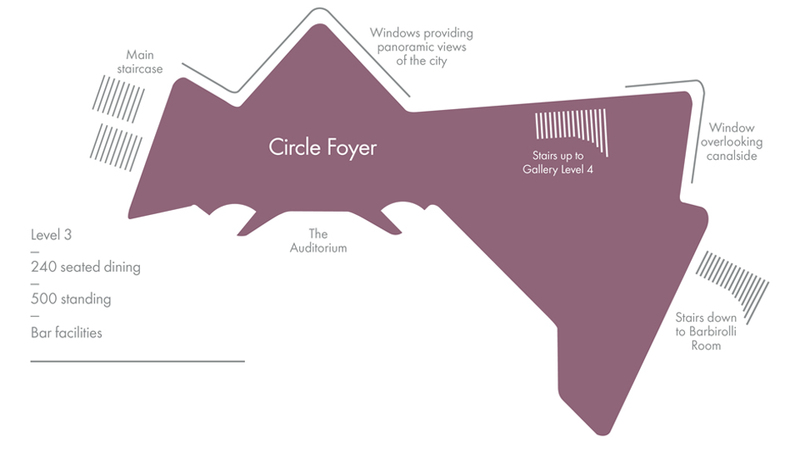 For more detailed information about the rooms and rates please download the venue hire information. 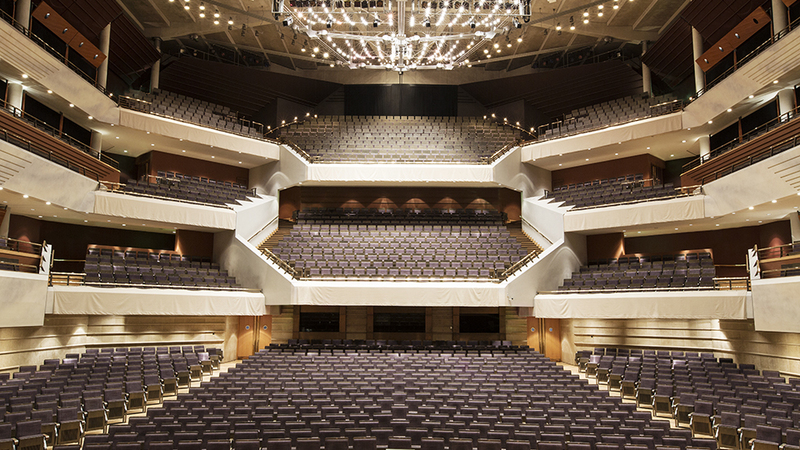 At the heart of The Bridgewater Hall lies the magnificent Auditorium. Modern and comfortable, the Auditorium offers tiered seating over four levels and a large open platform with built-in stage lifts for total flexibility. 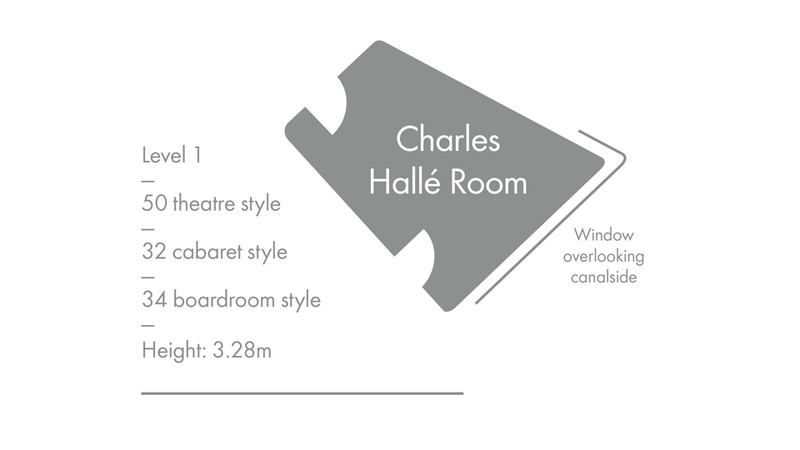 The Auditorium can be hired as part of an exclusive whole facility rental, which includes en-suite changing rooms, warm up rooms and crew rooms, as well as the Front of House foyer spaces and smaller function rooms. 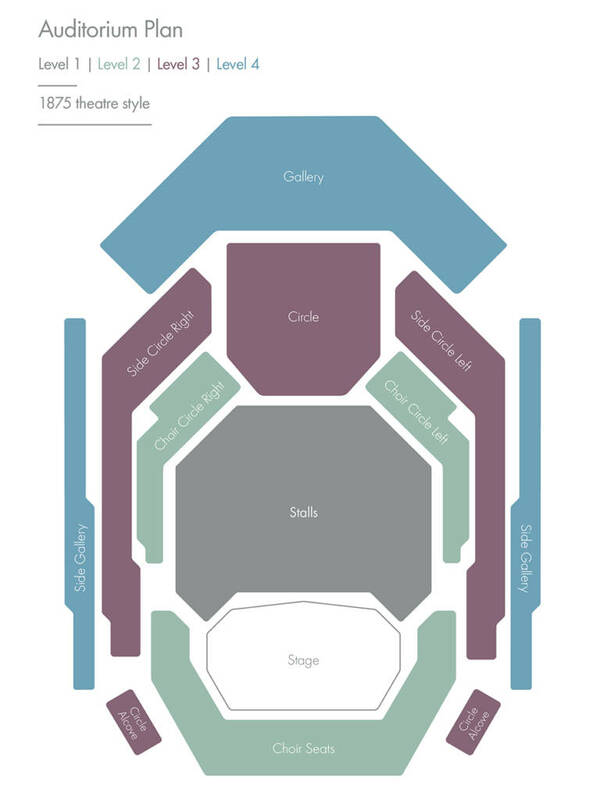 If you are looking to hire the Hall for a concert, please visit the Promoters section. Impressive high ceilings, stunning full length windows, and modern bright décor make the Barbirolli Room the perfect space for a range of events. The layout is very versatile and can be arranged to suit a variety of conference set ups, with a moveable partition wall that can be put in place for smaller numbers. High quality technical facilities are available and can be hired as a package with technical assistance. 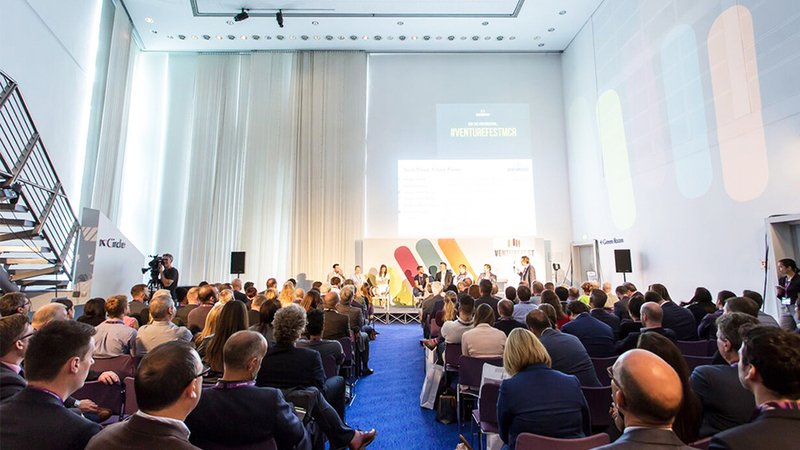 The room can be used in conjunction with the adjacent foyer spaces, which offer the ideal breakout area for registration, catering and networking and exhibition. 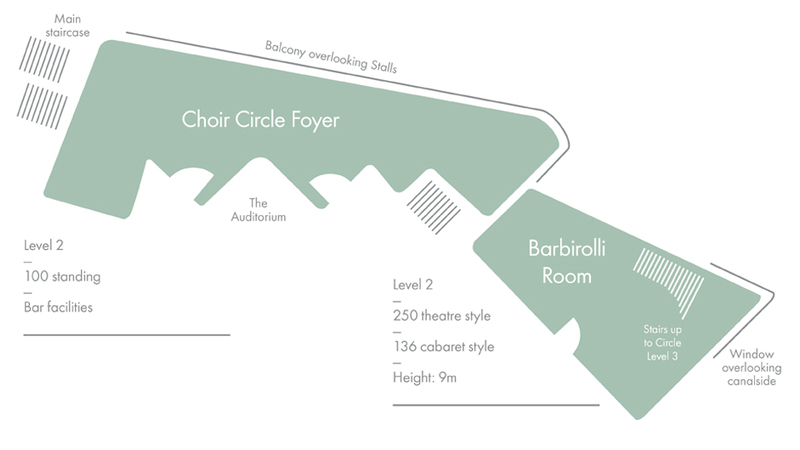 Located on level two, this is a more intimate foyer space which can be used alongside the Barbirolli Room as a registration and catering area for up to 100 delegates. 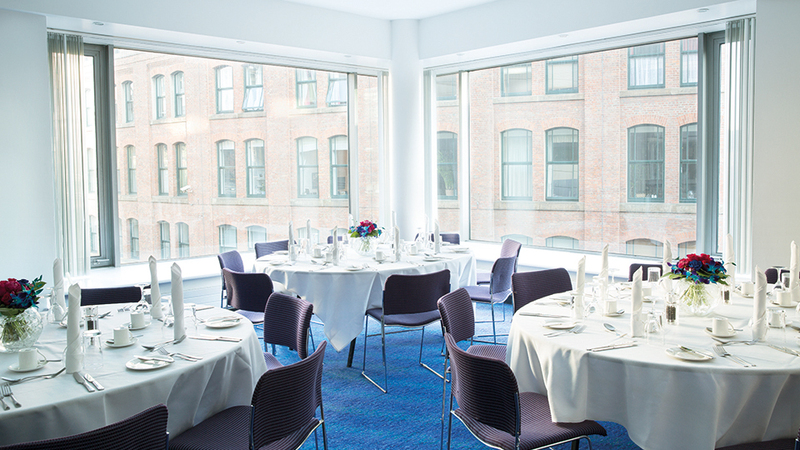 This bright, glass-fronted foyer has views across Manchester city centre, and is a beautiful backdrop for receptions, dinners, exhibitions and networking events. A versatile and light space, it is also popular as a location for photography and filming. 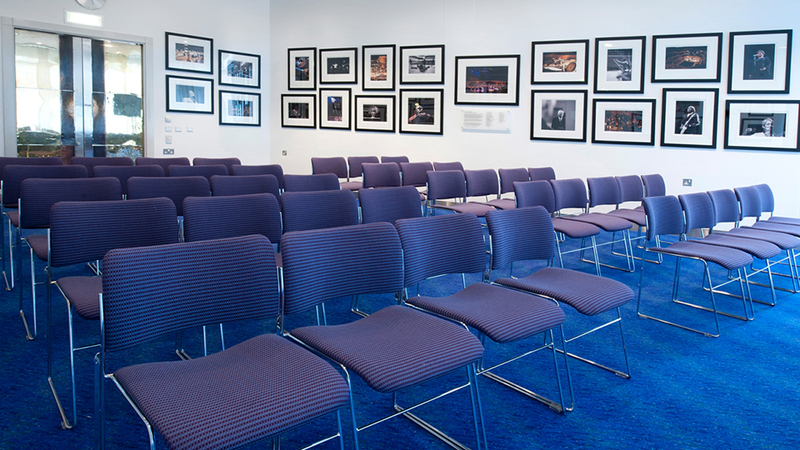 Used in conjunction with the Barbirolli Room, it provides a spacious registration and catering area adjacent to the main conference, and can also be used for workshops and breakout sessions. Situated on the ground floor, close to the main entrance, this room is easily accessible and a popular choice for seminars and training sessions. 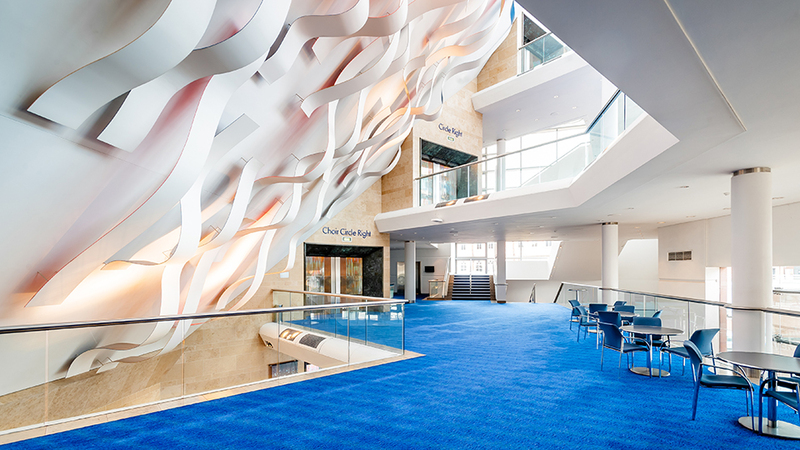 An adjacent foyer space is included in the hire for registration and catering. 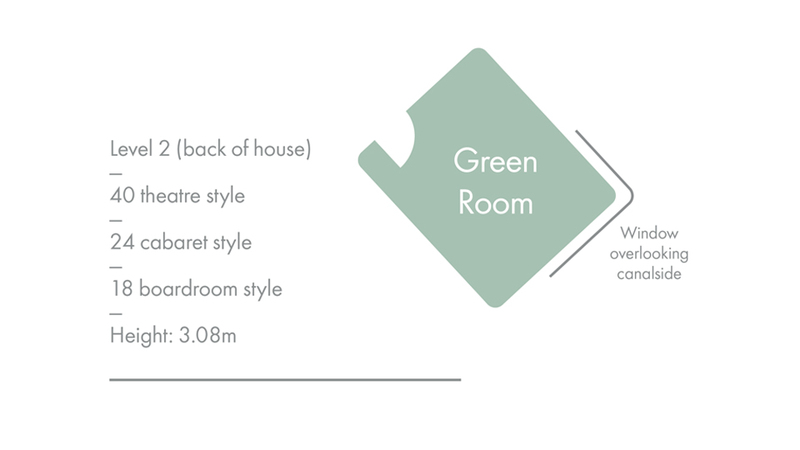 Our smallest meeting room, the Green Room works perfectly for meetings, seminars, workshops and small receptions or dinners. Located back of house, it offers an exciting glimpse into life backstage.